Colorado TBC was formed in 1984 and immediately found itself immersed in the geothermal power industry... and service is what we provide! The geothermal industry has evolved over the years and Colorado TBC has grown and evolved with it, having been on the job in various capacities on numerous geothermal power plants and facilities in the United States. Currently the bulk of Colorado TBC’s work comes from the Geothermal sector. The domestic projects that we have been involved with range in size from 2MW to 49.5 MW net with capital cost ranging from tens of thousands to excess of 170 million dollars. Our experience with these projects has taken us from initial project development and construction services, continuing up to facility place-in service. Moreover, as the complexion of the domestic geothermal industry has changed, we've changed with it. This change has resulted in the restructuring of our field support team to better providing facility maintenance services such as additions, retrofits and repair work of existing geothermal plants. Colorado TBC has excelled in these new services fulfilling our on-going commitment to perform the work most demanded by the industry, in the most efficient and cost effective manner for our clients while maintaining the highest degree of quality. 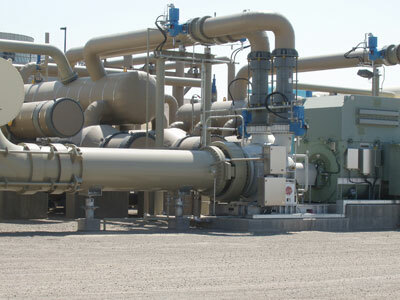 Whether you're starting grassroots, require total construction or mechanical subcontracting, require construction management, doing maintenance or upgrade project, or turn-around work, Colorado TBC can handle your geothermal needs out of their Nevada facility.